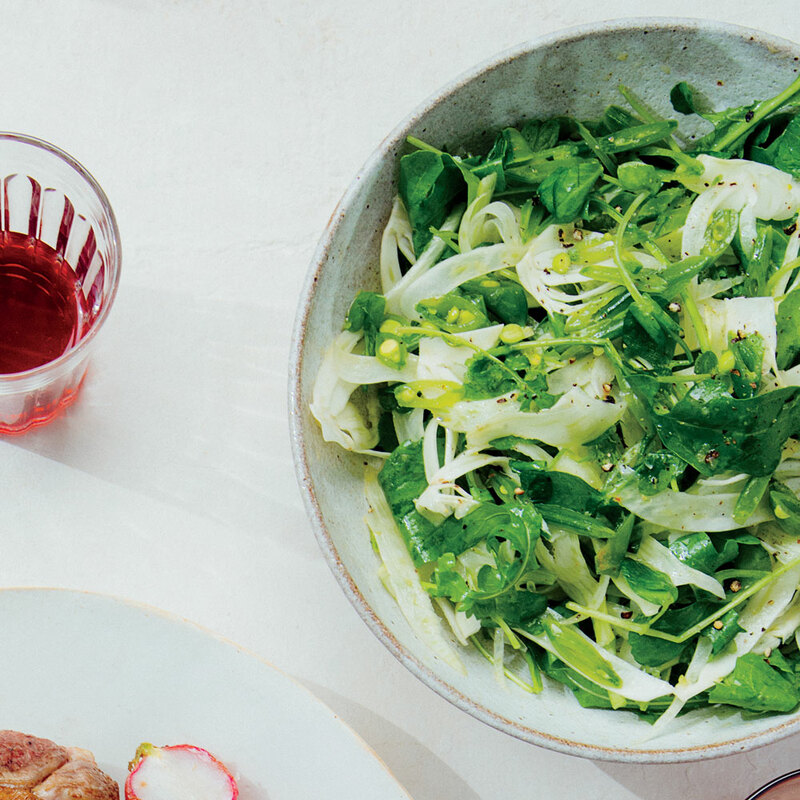 These delicious recipes include juicy chicken breasts with fennel and refreshing, crispy fennel salads. 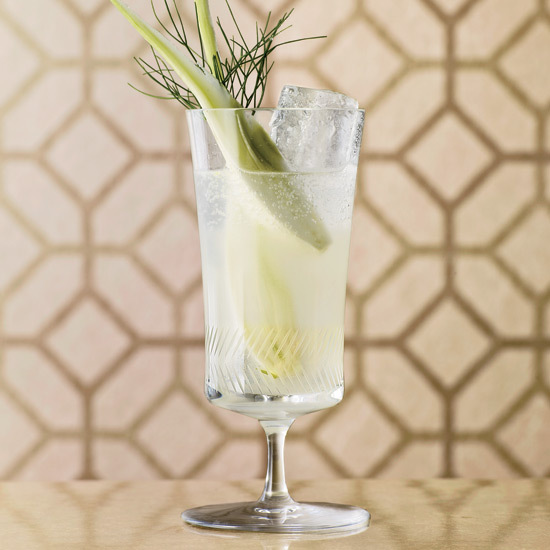 Like an old-fashioned soda-fountain drink, this mocktail relies on a delicious small-batch syrup. 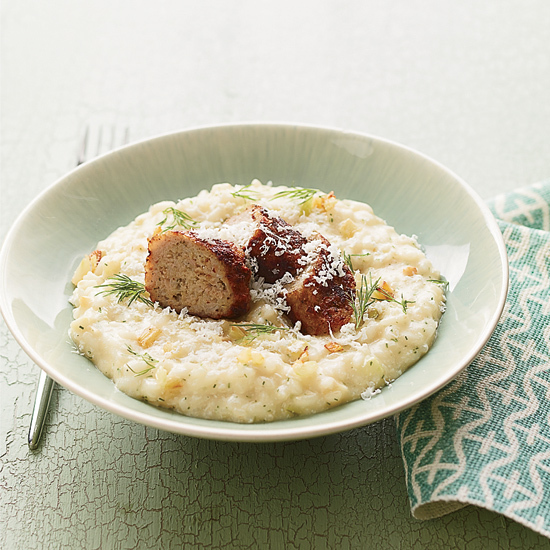 A homemade lamb-and-fennel sausage, made with store-bought ground lamb, gets browned in a pan and served over fragrant fennel risotto. 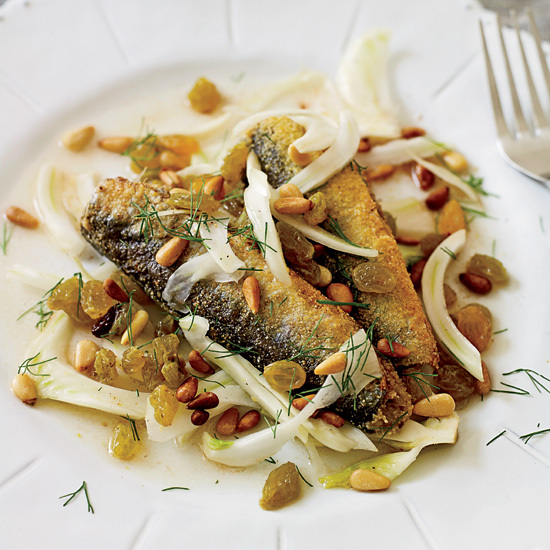 "You need a wine that can counterbalance these intense sardines," says Dan Amatuzzi of this quickly fried fish marinated in sweet Champagne vinegar, the classic Venetian dish sardines in saor. 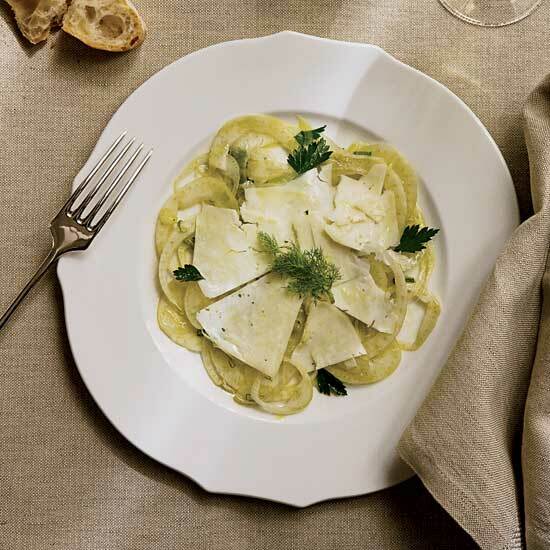 He selects a Verdicchio from Le Marche with sweet pear notes. Miami chef Michael Schwartz uses brown ale and whole-wheat flour to flavor his chewy crust. 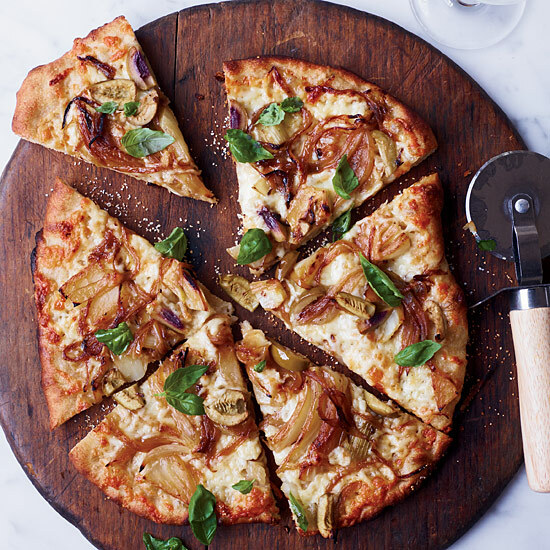 Toppings can range from potato and house-cured bacon to this pie, made with Pernod-braised fennel, caramelized onions and Trugole, a semisoft Italian cheese that melts beautifully. 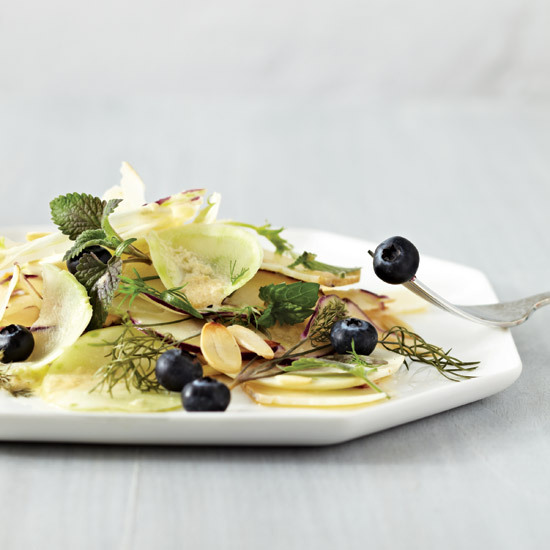 Eugenia Bone serves this simple green salad with a cheese plate and plenty of rustic bread. 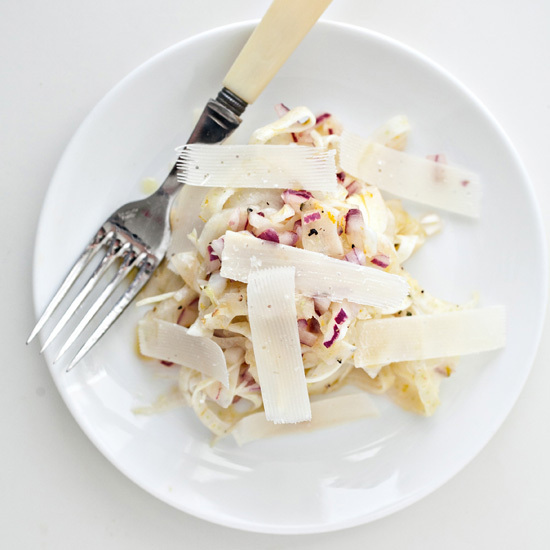 She always includes Taleggio and aged Parmigiano-Reggiano, as well as fresh imported sheep’s-milk ricotta whenever she can find it at the market. 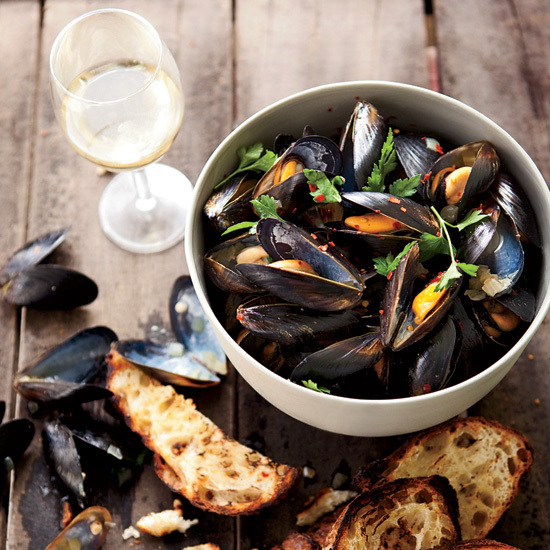 Before Chris Kronner makes this dish, he forages mussels from the nearby coast. “You have to climb down a 75-foot rock face on a rickety ladder; it’s intense,” he says. 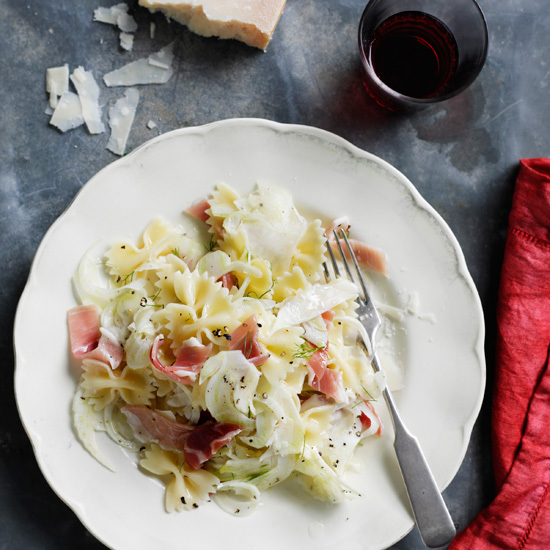 This crisp salad combines fennel, scallions and parsley with shavings of sharp, salty aged pecorino cheese; the pecorino from the small Tuscan town of Pienza is especially tasty. 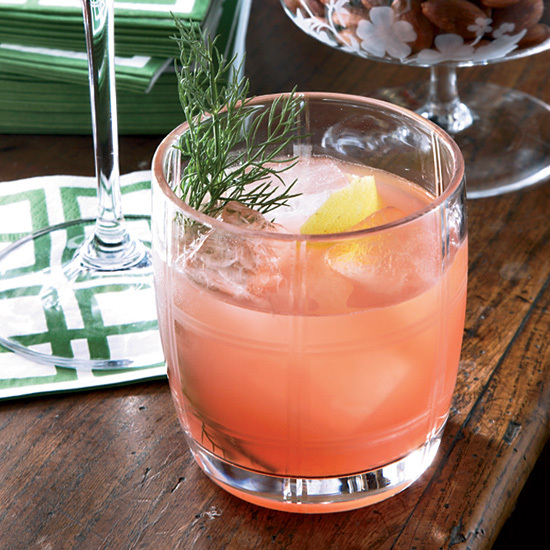 Pleasantly bitter, herb-infused Campari is a bracing aperitif, especially when it’s blended with a little sparkling wine as it is here. 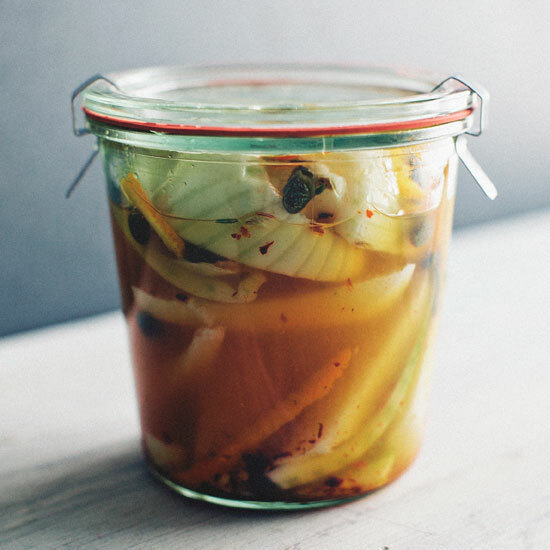 Neal Bodenheimer loves how the vivid-red Italian spirit tastes with fennel. 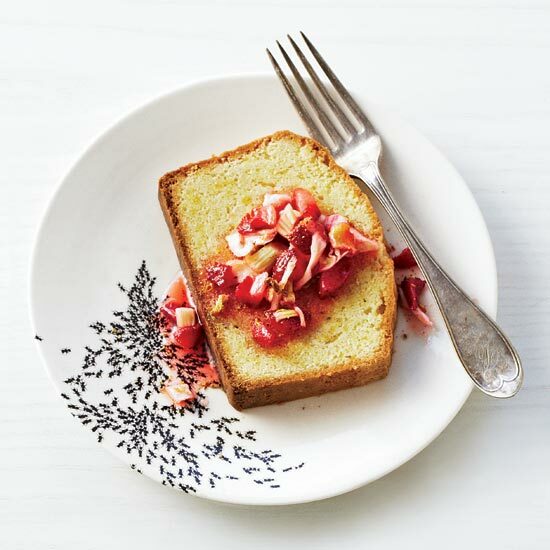 “This is a perfect way to use up any leftover fennel fronds from the kitchen,” he says. 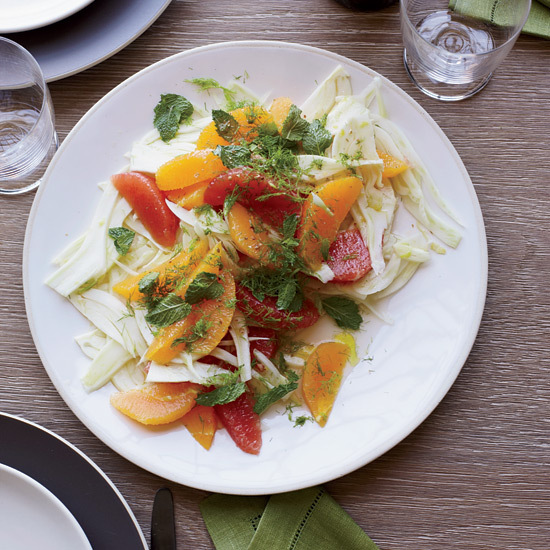 Crisp raw fennel, pungent onion, and a sprightly lemon and orange dressing make for a delectable salad. 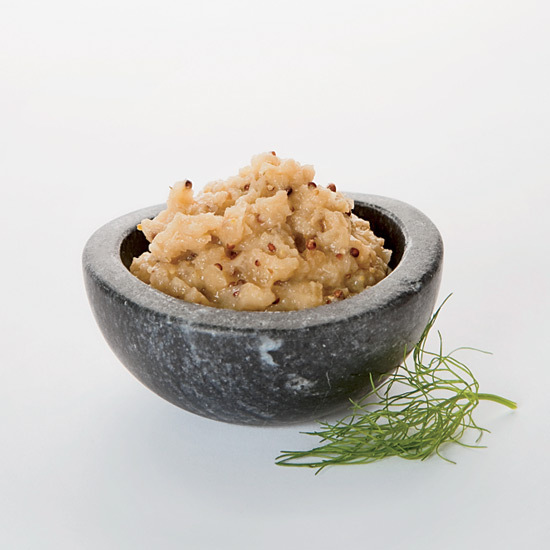 A food processor with a slicing attachment cuts the fennel in no time. Pastry chef Bill Corbett harvests his own fennel pollen for this dessert by hanging wild fennel flowers upside down; as they dry, the pollen falls into a container below. 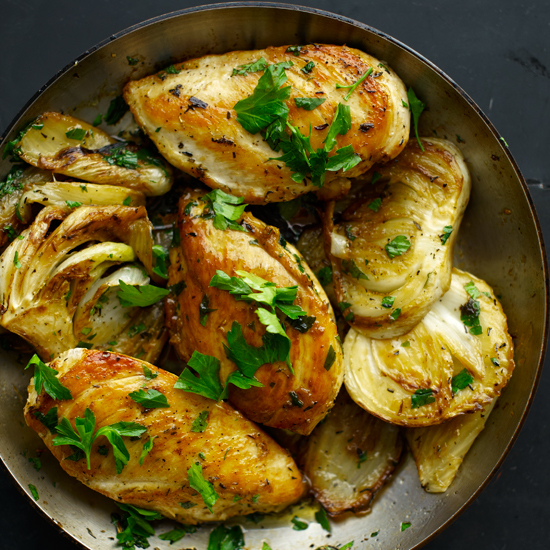 The Mediterranean flavors of fennel, garlic, and rosemary are perfect with chicken. 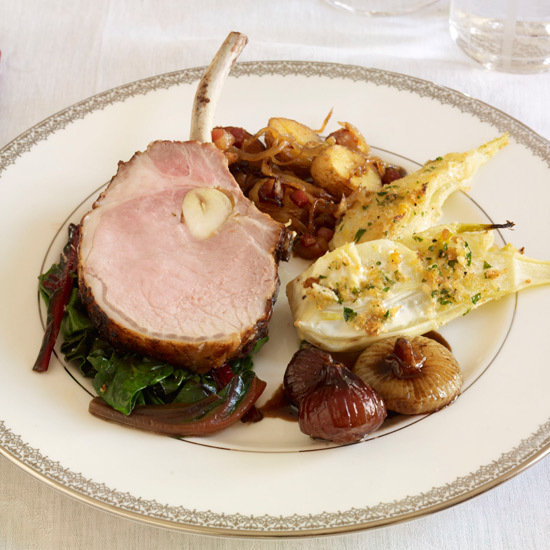 The fennel and chicken are sautéed and then briefly braised in chicken broth, which becomes a tasty light sauce. 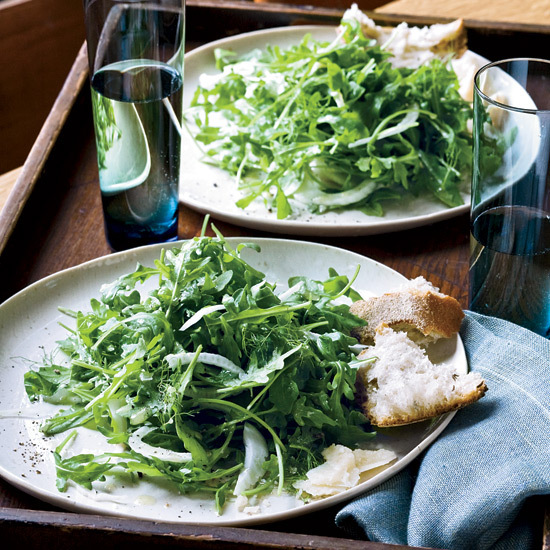 Meyer lemon has a tartness that’s more tamed than lemon, which is why we love it with peppery arugula and crisp shaved fennel in this simple salad. 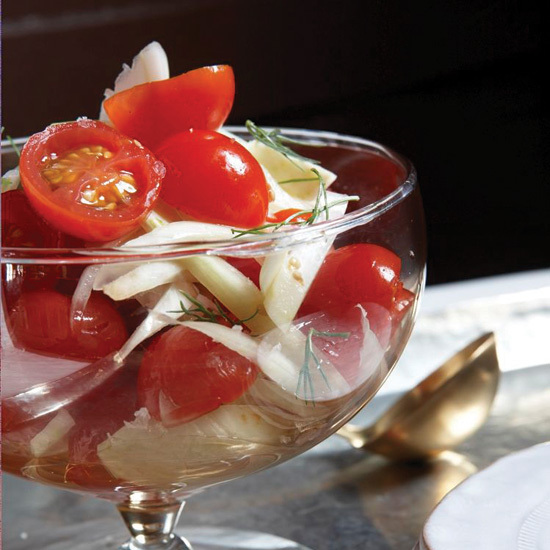 Soaking the shaved fennel in ice water helps the thin slices retain their crisp.